Canadian Denis Shapovalov sat down with host Mayleen Ramey at the Yonex VCORE launch party in New York City. The tennis star is the face of the new VCORE racket, and he joined forces with Outside the Ball for a grooving giveaway. If fans are a bit shy to bust a move, don’t be. Shapovalov got up off the couch and showcased his robot dance to get everyone started! You heard him, boys & girls. 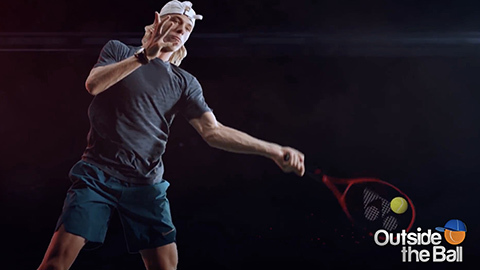 Post a video of yourself dancing on social media, tag Outside the Ball, and you could win a Yonex VCORE racket from Denis Shapovalov. Good luck and have fun!